Embrace Halloween the healthy way with these adorable candy corn fruit parfaits. Perfect for your halloween party and so simple to make! Make layers with your fruit. Start with pineapple at the bottom and fill the glass about half way up. Fill the rest with your orange fruit. 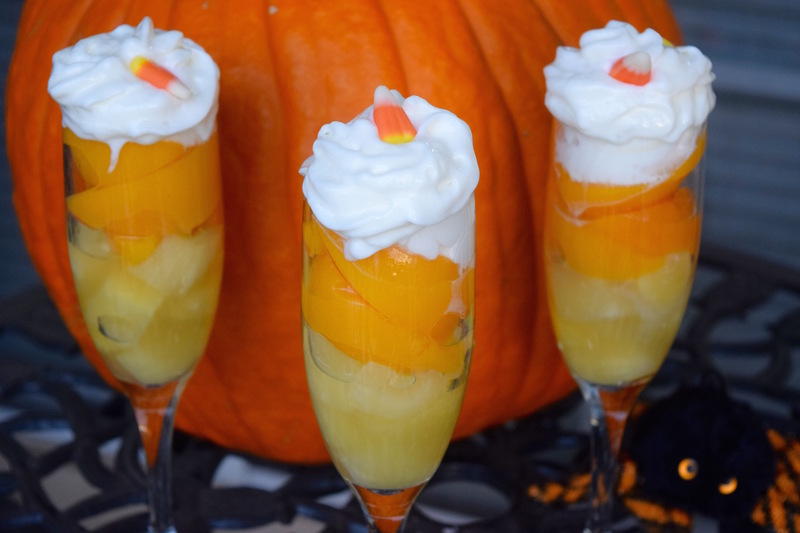 Top the parfait with either greek yogurt or whipped cream and garnish with a candy corn. Serve and enjoy! Happy Halloween.